Andrew Simpson: Behind the door of 44 Angel Street revealing stories of the "common lodging houses"
Behind the door of 44 Angel Street revealing stories of the "common lodging houses"
I am back on Angel Street between 1897 and 1901. Recently I wandered down the street in the company of Samuel L Coulthurst who took a series of pictures of the people and their homes including one rare shot of the inside of number 44. And today I am back having spent my time crawling over the census return for the same street in 1901. What makes Coulthurst’s pictures all the remarkable is that having identified the houses it is possible to discover who was living in them just a few years later. Now I would love to be able to record who exactly was living at number 44 when in the May of 1897 Samuel took his pictures, but I can’t. 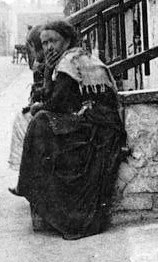 The best I can do is identify who was there on the night of March 31st 1901 when the census was taken. There were thirty two of them all male ranging from William Paxton aged 22 from Wigan who described himself as a street hawker to Thomas Reed from Ireland who at 74 was still working as a labourer. All them earned their living from manual work or the slightly more precarious occupation of selling on the streets. 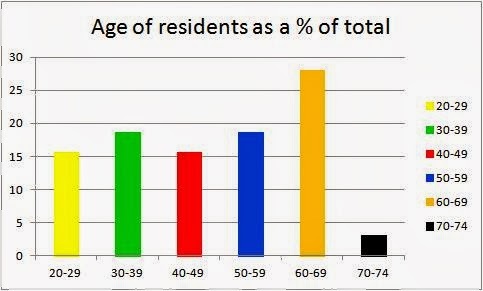 Most were single although a few were widowers and while the largest single group had been born here there were those from the rest of Lancashire, as well as Ireland Scotland and even London. 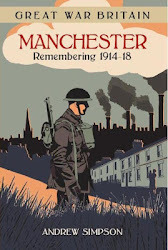 I try not to be sentimental but you cannot help feeling a degree of sadness that so many of these men well past middle age were living crammed together in a common lodging house with nothing but a few possessions and the knowledge that with old age, sickness or just bad luck the future might be the Workhouse. History of course has been unkind to them and most will have few records to stand as witness to their lives and so during the course of the next few weeks I want to track some of them and discover what their lives had been like. In the process I think we will uncover something of that shifting population at the bottom of the income pile and the extent to which they went from one overcrowded property to another. Sadly the identities of those staring back at us are lost and so who they were and what happened to them cannot be revealed. But that is not completely the case, because I think standing outside number 44 with his flat cap and parcel under his arm might just be Patrick Comer whose name appears above the door and who fourteen years later is still registered at the address on the street directory. If this is him he seems to have had a varied life. Born in Manchester sometime around 1850 he was variously a dyer, a joiner and in 1911 was both listed a step ladder maker and a clothes agent. He never strayed far from Angel Street and can be found on Mount Street which runs into Angel Street and on Rochdale Road close by. As for the others they are unknown and I doubt would still have been living at number 44 by 1901. 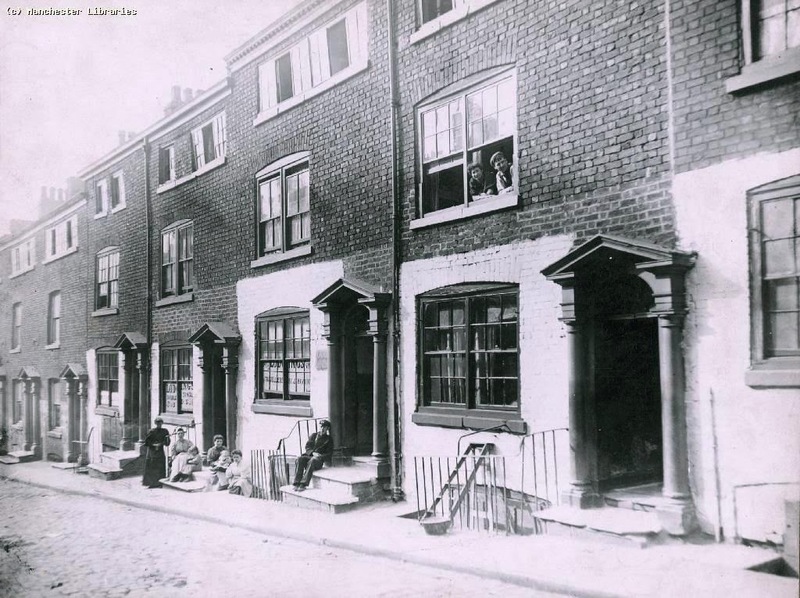 The very nature of these lodging houses meant that the residents were short term stay but we shall see. 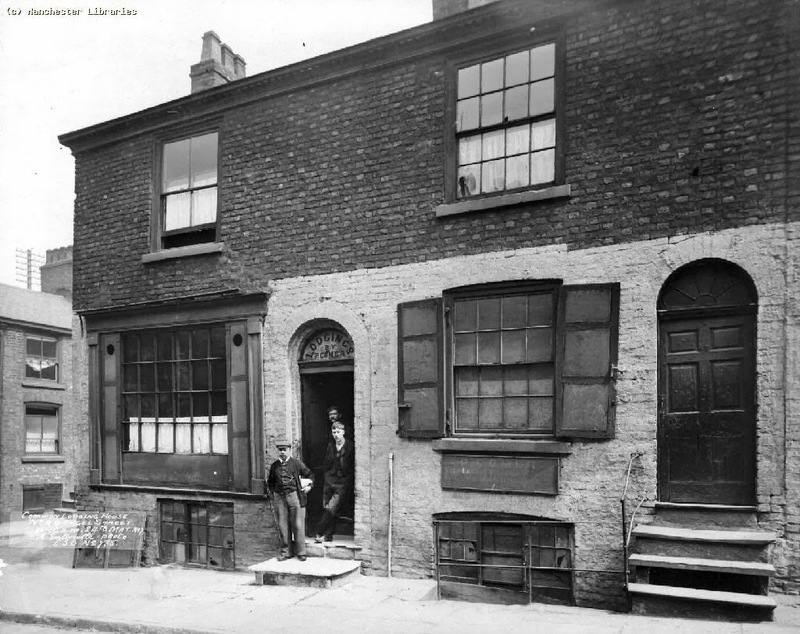 Most of Angel Street also consisted of lodging houses and as I trawl the census return they reveal a rich cross section of those at the margins of late 19th century Manchester life. And they point to number 44 being a tad unusual in that it was entirely male orientated. 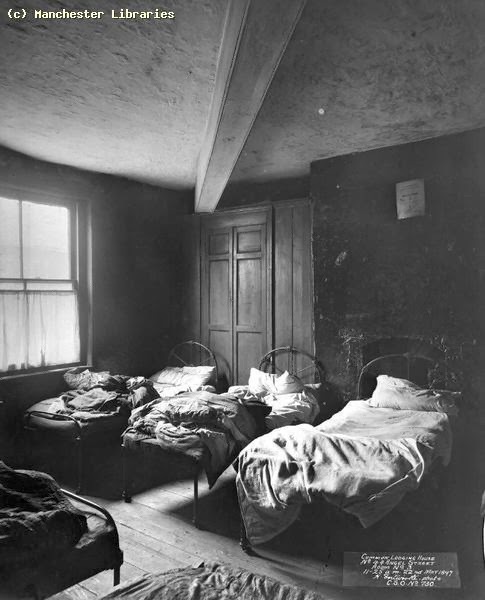 The other lodging houses had more of a mix of men and women, married as well as single and some unmarried women with young children who defiantly refused to describe themselves as either married or widowed. It will indeed be a fascinating exploration of this part of the city. Now that should be the end but there is just one last discovery, for I have tracked Mr Samuel L Coulhurst. He was a book buyer from Salford, born in 1868 and living at number 4 Tootal Road Pendelton and in the fullness of time I think he also deserves a closer look. **The south east side of Angel Street are missing from Laurent’s map of Manchester in 1793 but are there the following year on Green’s map while the side photographed by Coulthurst show up on Johnson’s map of 1819.